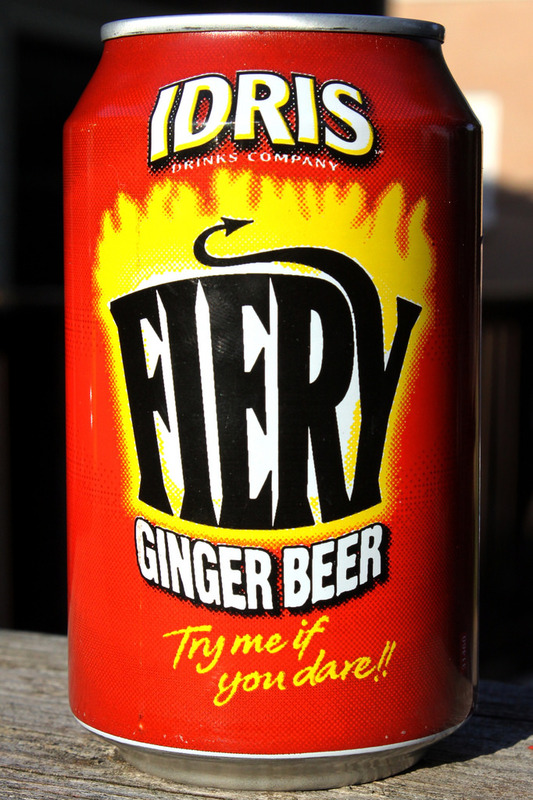 Idris “Fiery” ginger beer is manufactured by Britvic and sold throughout Britain. 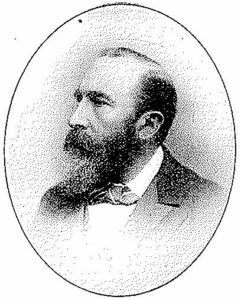 Thomas Howell Williams (1842 – 1925) was born at Vallen, Pembrokeshire, the son of a Welsh-speaking Baptist farmer. He was apprenticed to an Ebbw Vale chemist from the age of twelve. Williams emigrated to London in 1863, and went to work for a well-known firm of chemists. Soon, he entered into business for himself, with a chemist shop on Seven Sisters Road. There, he introduced soft drinks under the Idris brand, named for a Welsh mountain. Manufacturing chemists of the era often produced soft drinks, which were purported to have medical benefits. Ginger ale, Coca-Cola and Dr Pepper were all created by chemists. The soft drinks arm was successful, and Williams divested his chemists business and established Idris & Co, soft drink manufacturer, on Pratt Street, Camden Town from 1875. Idris & Co employed 400-500 men by 1891. That year, a generous profit-sharing scheme was introduced for the employees. Idris & Co was incorporated in 1892 with a nominal capital of £100,000. The company was one of the largest soft drinks manufacturers in the world. Williams added Idris to his surname by deed poll in 1893. Idris & Co employed two automated carbonated soft drink filling machines, which were designed by T H W Idris himself. Idris & Co nearly doubled in size between 1895 and 1897. Additional factories had been established at Southampton by 1896 and at Liverpool by 1898. A public offering in 1897 raised company capital to £150,000. The company had a Royal Warrant to supply Queen Victoria by 1897. An amalgamation was proposed between Idris & Co and the Chemists’ Aerated & Mineral Waters Association in 1898. With a capital of £400,000 the business would have had the scale to rival Schweppes, but ultimately the merger plans did not come to fruition. Idris & Co had a share capital of £216,000 by 1900. Depots were located at Teddington, Watford, Reigate, Folkstone, Portsmouth and Bournemouth. The company employed almost 1,000 people, including nearly 200 at the Camden Town factory. That year, five million bottles of carbonated soft drinks were sold, as well as millions of non-carbonated drinks. That year, an additional factory was opened at Canterbury. Motorised distribution was introduced from 1901. Horse-driven carts had previously limited road distribution to within a 17 mile radius. Politically, T H W Idris was a radical and a progressive. He invited representatives of the Social Democratic Federation and the National Democratic League to inspect his wages bill in 1902. They declared that Idris & Co paid the highest wages in the industry, that retired workers received pensions and that the profit-sharing scheme had distributed thousands of pounds to staff. IT H W Idris served as the Mayor of St Pancras in 1904-5. He was the Liberal Member of Parliament for Flintshire from 1906 to 1910. Idris & Co held a Royal Warrant to supply Edward VII by 1908. 120 women and girls at the Camden Town factory went on strike in 1911 in protest at the dismissal of an employee. The strikers agreed to an independent review of the case by the Board of Trade. The review cleared Idris & Co of any wrongdoing. Idris & Co was distributing soft drinks within a 50 mile radius of its Camden Town factory by 1912. Depots were situated at Watford, Teddington, Enfield and Southend. The company had over one million bottles. The company had 21 lorries by 1914. Idris & Co held a Royal Warrant to supply George V by 1916. Thomas Howell Williams Idris died in 1925 with an estate valued at £30,317. He was succeeded as chairman by his son, Walter Howell Williams Idris (1875 – 1939). Idris & Co established a new depot at Chelmsford, Essex in 1936. W H W Idris died in 1939, with a gross estate valued at £20,230. Joseph Edward Southwell succeeded him until 1943, when Ivor Trevena Idris (1911 – 1993), the grandson of the late founder, became chairman. Idris mineral water was not available during the Second World War due to Government restrictions aimed at rationalising production. Coca-Cola Bottlers of Scotland was acquired in 1961. Idris entered into a joint venture with Fuller Smith & Turner, the London brewer, for the 7 Up bottling franchise for London and the South East in 1964. The antiquated Camden Town factories were closed in 1965, and production was relocated to a new site at White Hart Lane, Tottenham. Idris & Co made a loss of £348,000 in 1965-6, following problems establishing the new factory, and a fire at the Coca-Cola Scotland plant. The loss-making company was acquired by Beecham, which owned the Lucozade, Ribena and Corona soft drinks brands, in 1967. Britvic acquired the Beecham soft drinks business in 1987. 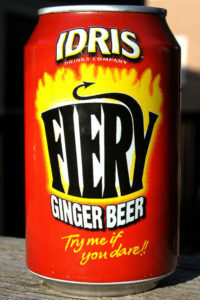 Idris “Fiery” ginger beer is still sold as of 2018.